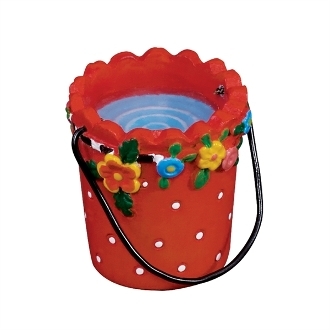 Red Flower Pail With Water for Merriment Mini Fairy Gardening. Full Description: This adorable polka dotted pail has a faux water feature and incredible hand-painted details. Designed by Mary Engelbreit.